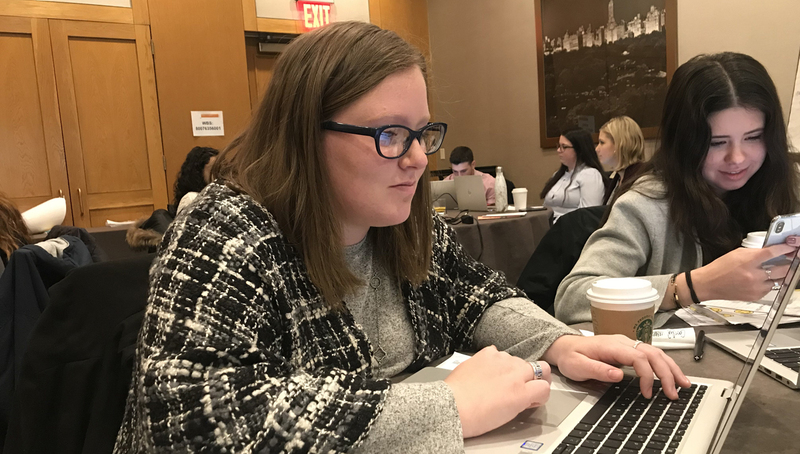 Alexandra Turner '19 learning how to audit clients during her training week. After this internship, I know I’ll feel ready to start working at an accounting firm full time. 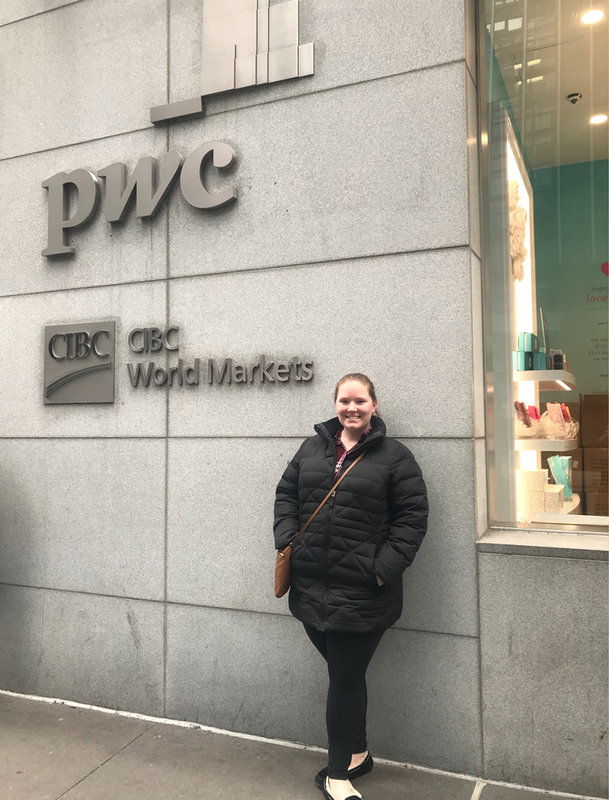 Alexandra Turner '19 works for PricewaterhouseCoopers (PwC) in the New York City office as an Assurance Intern. She’s learning how to audit companies’ financial statements and verify that the information they present to the public is correct. There really is no typical day for me to be honest! I take the subway to work, and I am usually there right before 9:00 a.m. Depending on what is going on for the day, I either do work from the day before and wait until the associates come in to give me something to do. Most days I’m looking over information and finding where it came from, or entering data into spreadsheets so it can be analyzed, or doing any number of different things involving financial information. In addition to my other work, I’m also doing the typical intern duties of ordering lunch and dinner! Right now, in the accounting world, it is “busy season,” which means we are in the middle of are year-end audits of our clients, so there’s always a lot to do! Because of this, I’m usually at work until around 9/9:30 at night, and I work on Saturdays too. I started my internship at the beginning of January, and it ends right before spring break, so I won’t be back on campus for the start of the Spring semester. But, Scranton has some condensed classes available for me to take so I am still able to graduate on time! What are some of the skills you have learned? I have learned how to be professional in any type of environment, how to ask questions and how to work in a high-pressure environment. I have also learned different skills related to the accounting profession such as tying out lead schedules, completing auditing workpapers and using Excel! How do you feel this internship prepared you for the real world? It has exposed me to different people, different accounting principles and has shown me what type of work I will be doing post-graduation. 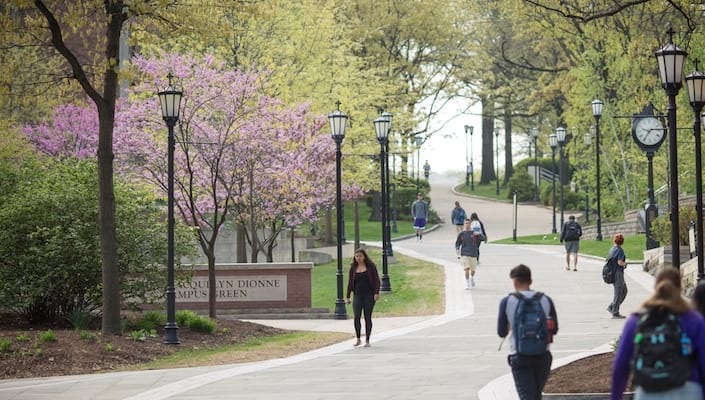 I’ve really learned how to stay on top of tasks, how to make sure I’m on time in the morning and proved the work ethic that Scranton has instilled in me. After this internship, I know I’ll feel ready to start working at an accounting firm full time. What advice would you give to college students pursuing an internship during intersession? I would say to definitely take advantage of any internship opportunity, even if it is only for a month during intersession! Any experience is good experience, even if it’s only for a little while. For accounting majors, I think a winter internship is incredibly valuable because you are doing exactly what you would be doing if you had a full-time job. You get exposed to so much more of the accounting profession than you would be if you were interning during the summer. And, the overtime pay of time-and-a-half is pretty nice as well! Outside the PwC office at 300 Madison Avenue! 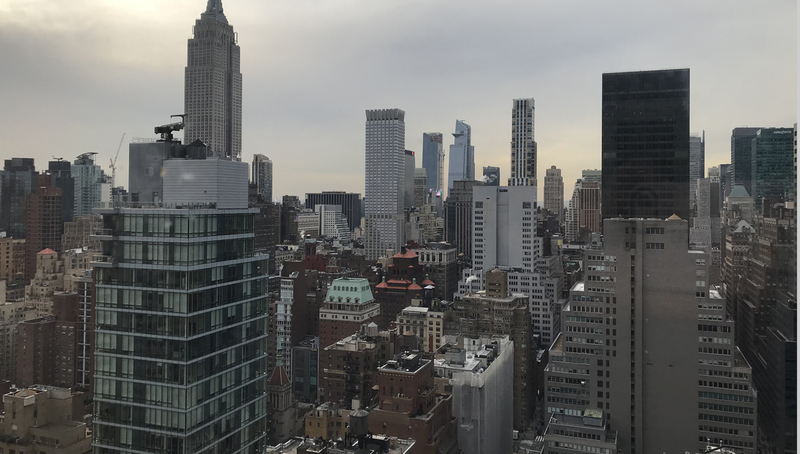 View from the PwC office. Turner is a senior accounting major.